WASHINGTON CITY — Two women were arrested in Washington City Wednesday and charged with possession of heroin while in a drug-free zone. While out on patrol Wednesday, Officer Laynce Bartruff, of the Washington City Police Department, witnessed a vehicle making a left-hand turn without using a signal, according to a probable cause statement filed by Bartruff in support of the arrests. After running the vehicle’s information, Bartruff learned the car was uninsured and began a traffic stop, he said in the statement. Michelle Sisneros, of St. George, was driving the car and Elizabeth Carpenter, of Washington City, was a passenger. 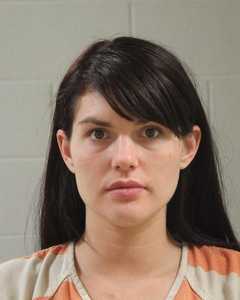 Upon further investigation, Carpenter was found to have a no-bail warrant issued for her and was arrested, Bartruff said in the statement. While conducting a search of the car, Bartruff discovered a needle in Carpenter’s purse and a bag on the car floor containing a spoon with a burnt bottom and brown residue, cotton filters and a balloon suspected to contain heroin. Personal items belonging to Sisneros were also found in the bag with the spoon, filters and balloon, Bartruff said in the statement. 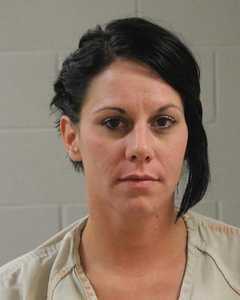 The car was impounded and each woman was arrested and charged with possession of heroin, a second-degree felony, and possession of drug paraphernalia, a class A misdemeanor. Sisneros was also found in possession of a syringe, a class-A misdemeanor, while being booked into Washington County Purgatory Correctional Facility, Bartruff said in the statement. Because the area the two women were leaving was near the Washington City Community Center — a drug-free zone — all charges were enhanced. Sisneros is currently being held at the Washington County Purgatory Correctional Facility on $13,900 bail, and Carpenter is being held on $11,950 bail. One more “Mission Accomplished” for St. George News and the local po-po. Way to take these girls “who’s lives are bad enough that they need to use heroine to deal with it” and parade them up so everyone can see how horrible they are. Its a good thing that the Cops got these horrible people; who almost certainly would have done harm at some point to someone besides themselves. This is no reflection on St George News, for even making this news, because if everyone in the area didn’t know just how bad these people are; then how would they be able to go to jail and get the wonderful rehabilitation that our prison system is so famous for. Sure the police are creating a problem where there wasn’t one but hey, the state might make $25,000 off this; so yay for that. Thank you WCPD….your attention to detail and follow up are making our city a safer place. Keep up the good work. Dear, Chief of Police. Thank you for nurturing the atmosphere so this kind of “ProActive” police work can flourish. And put an end to those guys boinking their dogs and horses. That’s just wrong…. and nasty! Steed, so it’s the cops fault? SGN and the bookings show everybody else, so I take it one of these lads is yours or you know them. I love that your so well trained that St George News (who is really just a law enforcement PR firm) can convince you that you are better off because these girls have been arrested. They haven’t been accused of hurting anyone or damaging property; they are accused of not obeying, not paying insurance extortion, and having drugs; which again, has hurt no one but themselves. Now they can gouge YOU to finance the housing and feeding of these girls, who once they get out, will probably go right back to using because they aren’t given what they need to resolve their issues. Any kids they have will most likely repeat the process. So yes its the cops fault and St George News’ fault, but more than that, its your fault and my fault for supporting this system. The state is so broke that the cops have to create problems to finance the cost of pushing back the goalposts. Its sick and its sad, and yet we let it happen. Apparently you have no idea of what choice and consequences are. One of the women had warrants out and they both apparently chose to do drugs. They then have to face the consequences of those choices. On another note, without insurance any accident they may have eventually caused would have increased your insurance premiums and also taxes would have to pay for unpaid medical and property damages. So you are right, it is the Cop’s fault that these People were breaking the law (sarcasm). Life is never as simple as we think. Yes he knows them their name and number is in this news article. Nothing seems safer than to have some broad turn in front of another care without signaling with needles hanging from their arms or in the fog of some good tar. Steed, so whats your solution to the problem? Lets hear it…. My solution is to step into my independence, by withdrawing my support from any one who claims authority over anyone (they are not responsible for); and to take responsibility for myself by being accountable for everything I say or do.